A SSL certificate might sound like daunting technical jargon to you, and us explaining that it stands for Secure Sockets Layer probably doesn’t help. But having an SSL certificate is a crucial step towards having a successful website. A SSL certificate itself is a collection of small data files that bind a cryptographic key to your organisation’s details, effectively encrypting the data packets for your website. This means in simple terms that an SSL certificate will secure your website. Having this certificate means your website cannot be read and your data is secure. Traditionally, SSL certificates have been used to secure credit card transactions and login details but as of recently it is being used for much broader purposes. Now the majority of sites are using SSL, ranging from e-commerce websites to social media sites, and Google loves them. Why does Google likes SSL certificates? Now, not only will your site be secure, but it’ll rank better on Google too. Google has come out publicly to support SSL certificates as they typically indicate a higher quality of website and show that the business is prioritising their customers privacy. 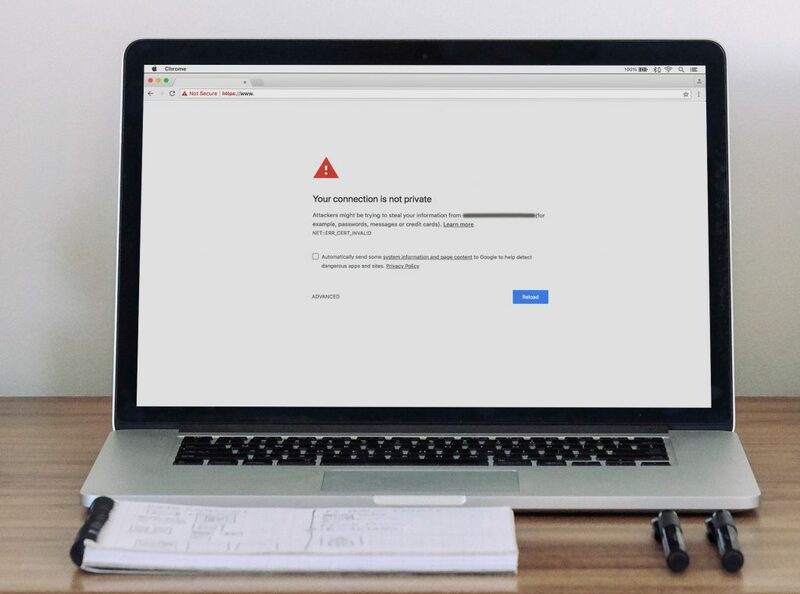 Aside from all of the security benefits, the biggest selling point for SSL is that it’ll prevent browsers from showing your customers a big ‘untrusted error’ message; such as ‘Your connection is not private’. This is the fastest way to lose trust and credibility in your website. A SSL certificate will allow you to secure your customer’s information, provide secure payments and protect passwords and credit card details. With the application of your SSL certificate, your IP address will change from http to https and a small padlock will appear, displaying your certificate and indicating to customers that this is a secure site to browse. For more information chat to our team at Circle Media about setting up your SSL certificate today.